If one wants to begin to understand the terrible physical toll the war took upon its combatants, one needs look no further than the medical statistics—lists of convalescents, inventories of the disabilities of the returned soldiers, and the ever looming death count. Over 60,000 Canadian soldiers lost their lives to the Great War, and an astounding 149,732 were reported wounded. New methods of warfare presented doctors and surgeons at the front with an array of daunting new challenges. Extraction of shrapnel became commonplace, while the introduction of chemical weapons put doctors and nurses themselves in danger within the operating room. Although illness at the front was better dealt with than it had been in many previous wars, outbreaks of influenza and other such ailments were still commonplace, and often devastating. Veneral diseases also ran rampant, with approximately 28% of Canadian troops being infected with syphillis or gonorrhoea. Trench foot became a part of daily life, and new conditions such as “flying sickness” and “shell shock” had to be first recognized and acknowledged, and then treated. The conditions under which military hospitals, both mobile and stationary, operated were often dangerous, crowded, and less-than-ideal. The doctors and nurses working within them have frequently been cited for their exemplary courage and discipline under pressure. 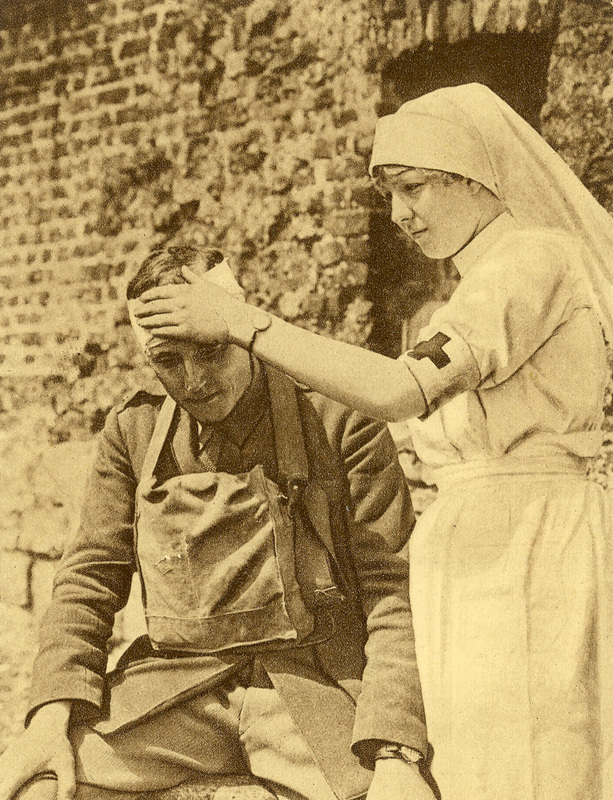 It should also not be forgotten that the challenges posed to the medical profession did not end with the war any more than the injuries caused by the fighting vanished when arms were laid down. With thousands of disabled soldiers returning home, doctors were faced with the task of helping to restore and maintain the health of these veterans. For this reason, much of the documentation about the casualties taken by combatants comes from after the war, with an eye towards physical recovery and societal reintegration.